Description: Arching herbaceous perennial, up to 10’ tall. Hollow, reddish, bamboo-like stems are smooth and stout, often persisting after plant dies back to the ground each year. 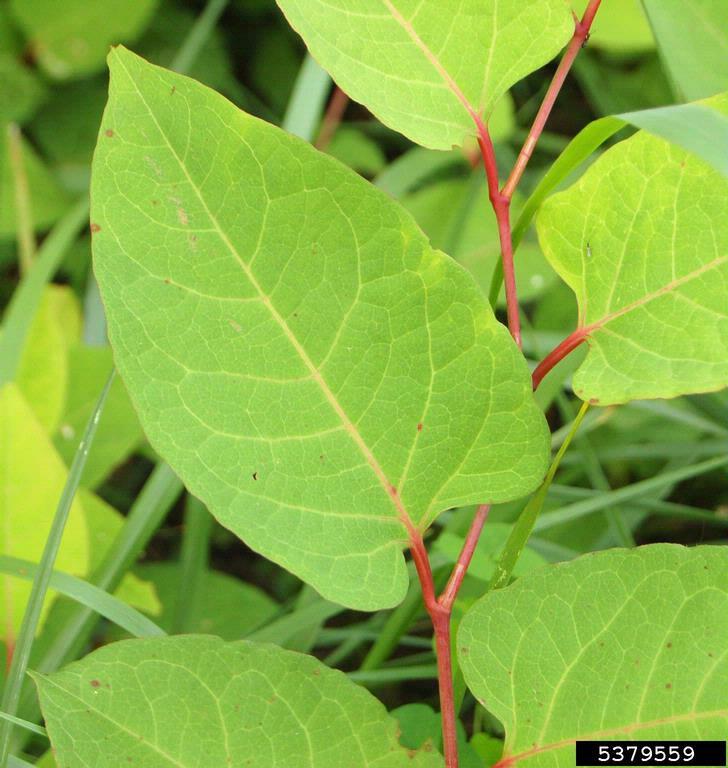 Leaves alternate, egg‐shaped to almost triangular, 4‐6” long, 3‐4” wide. Dark green on upper surface, pale green on lower surface. Branched inflorescences of tiny, creamy white or greenish flowers emerge from leaf axils near the ends of stems. Blooms in late summer. Fruits are small, winged, and triangular with very small, shiny seeds. 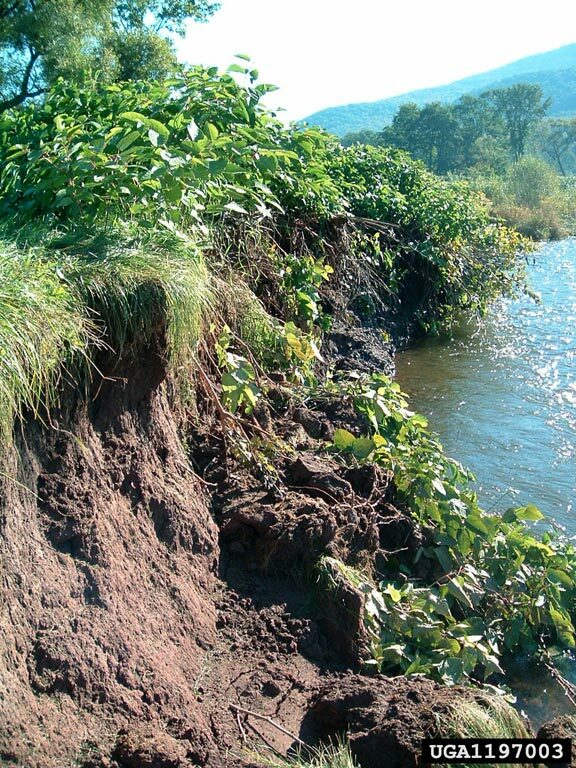 Threat: spreads by rhizomes to form dense thickets that suppress other vegetation in upland and lowland areas; can dominate along creeks, which leads to increased bank shear and erosion (as in photo shown below); decreases habitat for wildlife; rhizomes can damage building foundations and other structures. 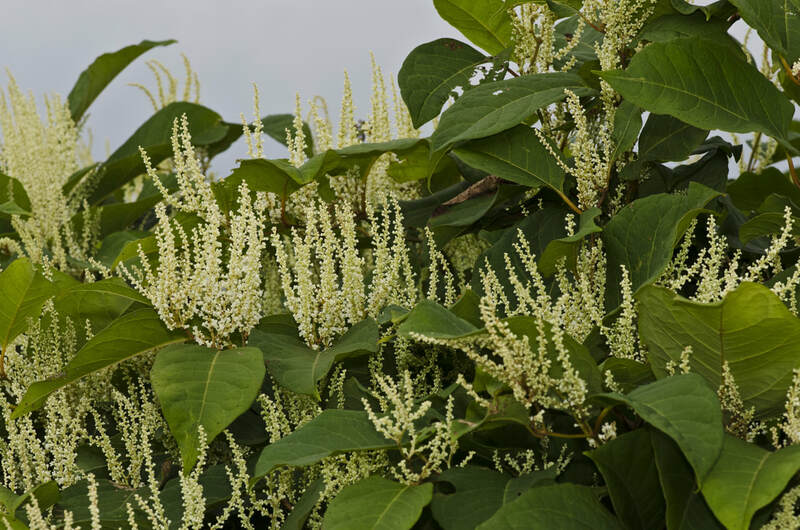 Japanese knotweed is one of the most tenacious invasive plants to control. Here are some tips. 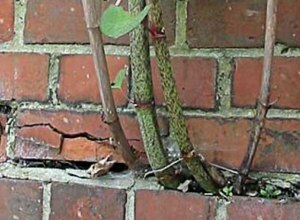 The U.K. has been fighting Japanese knotweed longer than the U.S. - clck here to see pictures of how it can damage houses and other infrastructure.